The second half of Season One of Star Wars: Resistance returns on January 13th Sunday, January 13 (10 p.m. EST/PST) on Disney Channel and from the looks of it, we’ll be entering Episode VII: The Force Awakens territory. Possibly beyond. (Which would also count Episode VIII: The Last Jedi) It has been confirmed that the mid-season premiere episode will be titled “Bibo”. During the Trailer we see that the dreaded First Order is making their presence known. Offering “security & order” to the residence of the Colossus, despite being responsible for orchestrating the recent pirate attacks. (A sort have mafia like tactic) But it’s clear the First Order want to use the Spaceport as a staging ground for their imminent invasion of the Galaxy. Much like the crew of the Millennium Falcon discovering the obliteration of Alderaan, Kaz and Poe Dameron stumble upon a startling discovery, a dead system but without it’s star with cold dead planets. Starkiller Base is powered and ready. 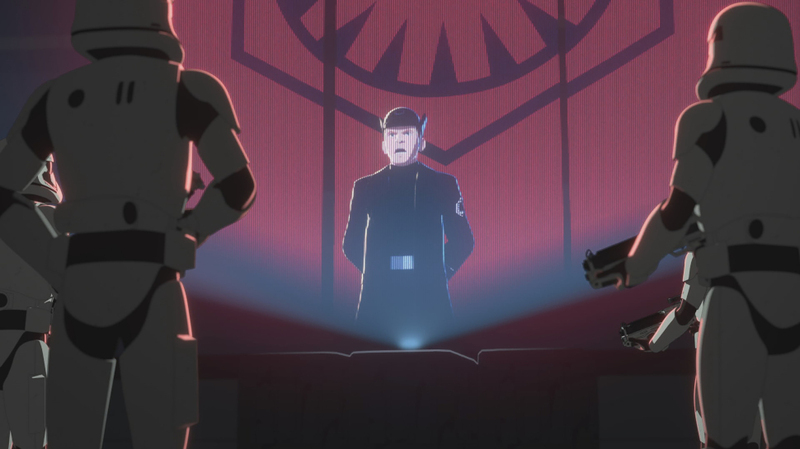 As Kaz and Torra spy on some unsuspecting Stormtroopers, they watch a holo transmission of Hux standing before a red banner, celebrating the might of the First Order and the imminent destruction of the New Republic, in a familiar scene, with parts of his speech plucked right from The Force Awakens. But fro the looks of the Trailer Kaz & friends won’t be joining Leia’s resistance straight away as they must first liberate the Colossus from the First Order. Most likely by season’s end, Kaz’s mission on the Colossus will be done (either by saving the Spaceport or destroying it so the First Order can’t use it) before turning his attention to joining the official Resistance in a more proper role. That’s quite abit. But not unwelcome. 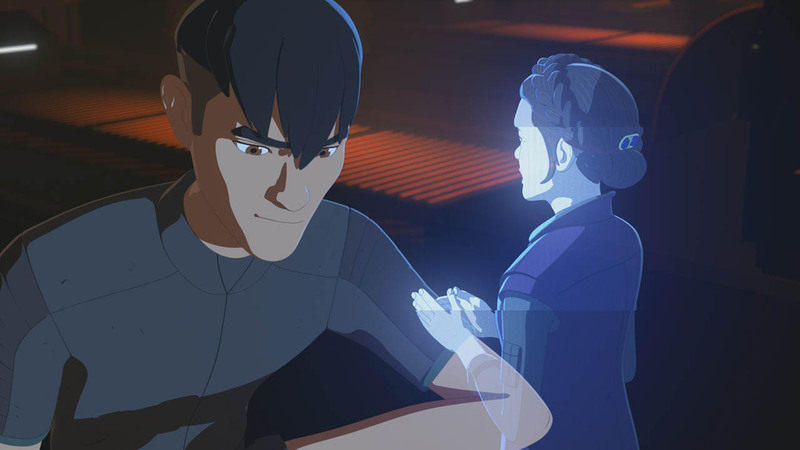 So far the Mid Season Trailer for Star Wars: Resistance has been well received so far compared to it’s first Trailer. Which the Mid Season Trailer having a majority of Likes compared to the Dislikes. If you would like a better break down of the Trailer then why not head on over to Star Wars Explained for their Breakdown video on it. Will be you watching the 2nd half of this Season of Resistance? I’m now more intrigued, like Star Wars: Rebels before it, Resistance has been a slow burner, it’s been okay but now it looks like things are about to get interesting. Like Season 1 of Rebels it looks like it’ll be an epic climax to end the Season with.